WHAT IF YOU KNEW THIS WERE TRUE? 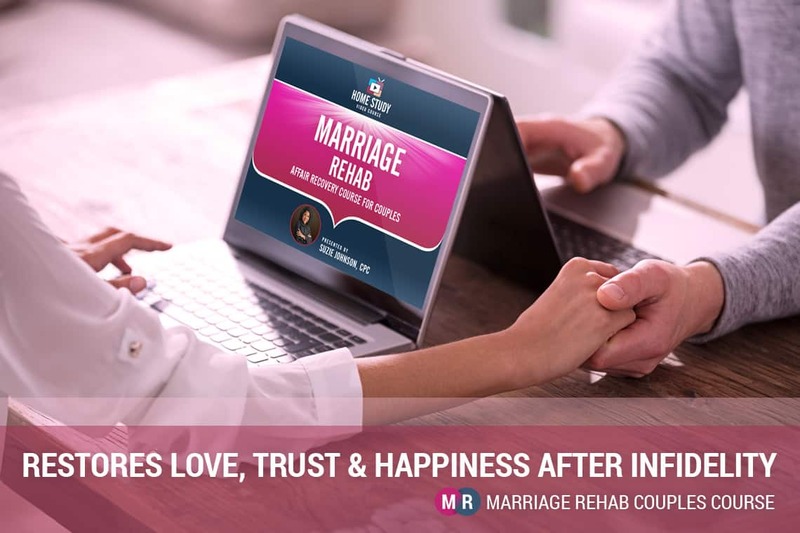 Marriage Rehab is my couples online course designed to take you and your partner through my comprehensive plan for restoring love, trust and happiness after infidelity. you’re going to need a comprehensive plan that not only considers these factors but also provides potential workarounds and solutions for dealing with them. I have designed my Marriage Rehab couples course to give you and your partner that type of comprehensive plan. 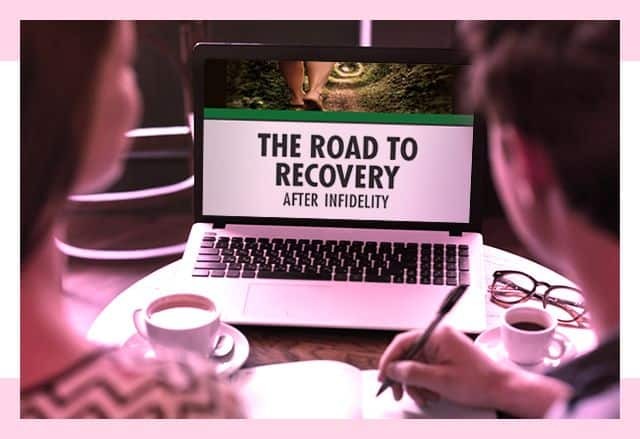 In this course, I will take you right from the moment of discovery through to the stages of recovery to reignite love, trust and happiness after infidelity. You and your partner want to move forward, but the hurt, anger and resentments are blocking the way. You guys are not on the same page when it comes to recovery, and you’d like to find a way to change that. Either of you are having "trust issues" or are still struggling with guilt, unforgiveness or fear of moving on. You’ve lost that loving feeling and you’d like to get it back. There’s still a lot of unanswered questions about why what happened, happened. You both want to make sure you are doing everything you can to eliminate the risk of something like this ever happening again. You’re the type of people that prefer to plan for success rather than to wing it or to rely on luck to get you by. Deep down, you both believe what you have is worth fighting for. You guys are not on same page when it comes to recovery, and you’d like to find a way to change that. Either of you are having “trust issues” or are still struggling with guilt, unforgiveness or fear of moving on. You’ve lost that loving feeling, and you’d like to get it back. Then I believe you should seriously consider taking my Marriage Rehab course because part of what I know is this: When it comes to affair recovery, it’s not about making hard choices, it’s about making right choices. And I have designed this course to guide you towards making as many right choices as possible. Then I believe you should seriously consider taking my Marriage Rehab course, because part of what I know is this: When it comes to affair recovery, it’s not about making hard choices, it’s about making right choices. And I have designed this course to guide you towards making as many right choices as possible. 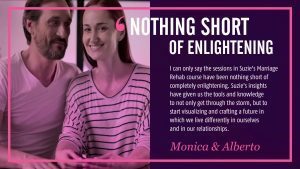 My emphasis is on mutual recovery; therefore, I have combined my Betrayed Partner Recovery course, my Wayward Rehab course, along with my Couples Rebuilding course into one comprehensive experience that guides you individually, as well as together as a couple. 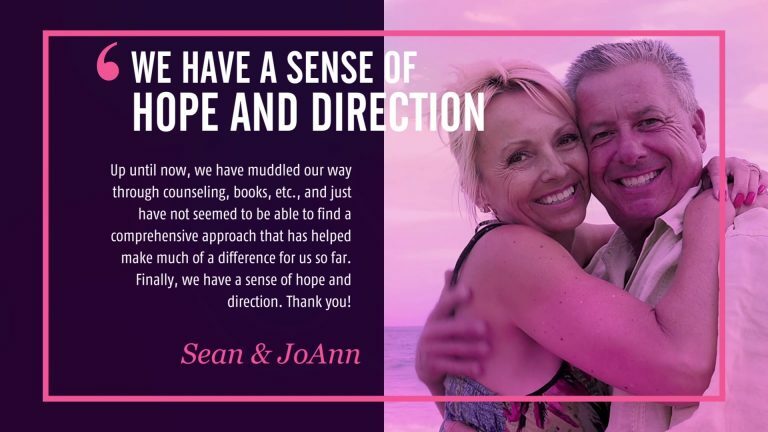 Therefore, I have combined my Betrayed Partner Recovery course, my Wayward Rehab course, along with my Couples Rebuilding course into one comprehensive experience that guides you individually, as well as together as a couple. My goal for both of you in this session is to ensure you’re on the same road to recovery. My focus will not be on how you got here, but rather how you get to where you want to go from here. 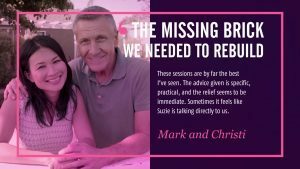 By the time you’ve watched this session all the way through, you’ll both know what stage of recovery you are in, both personally and together as a couple, and you’ll also have a much better idea of what to expect in the coming weeks and months ahead. 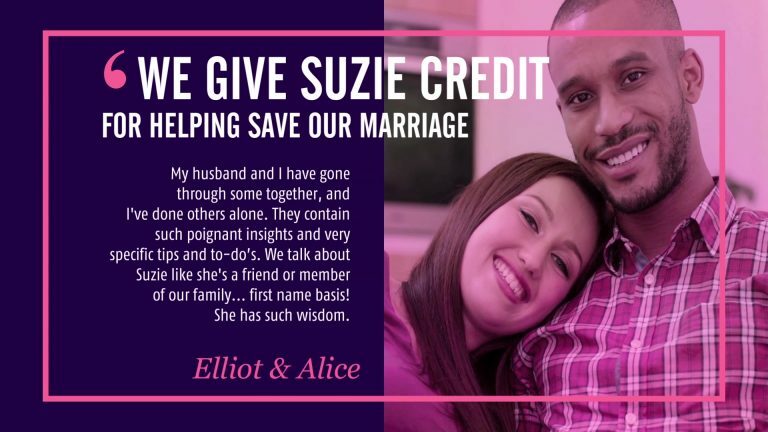 No other online marriage course goes to depth, length and scope as this one does. 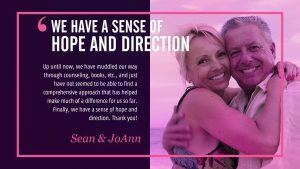 No other program guides you both individually and together as a couple through the stages of affair recovery like this course does. No other approach will give you a more comprehensive plan for restoring your happiness after infidelity than this one. 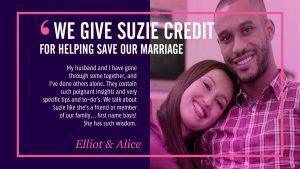 Nowhere else can you find better techniques for reigniting your marriage than you’ll find in this course. 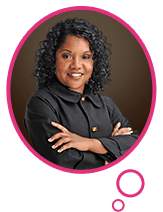 No other course creator is as dedicated as I am to ensuring you have all the tools you need to restore your hope of a happy ending. This situation might be new to you guys, but it’s not new to me. In fact, I have spent the past two decades teaching, coaching, guiding, and even nudging, couples towards happiness after infidelity. And because of that, I believe I can bring a certain level of expertise, as well as nuances, tips, tools, techniques, strategies and insights you won’t find anywhere else or perhaps even discover on your own. I’m fully aware that once a person’s trust has been violated the way yours has, it’s almost too much to ask them to take anybody’s word for it. You don’t just have to take my word for it. You don’t have to decide without proof. You can find out for yourself if the course is right for you by auditing the course for FREE. 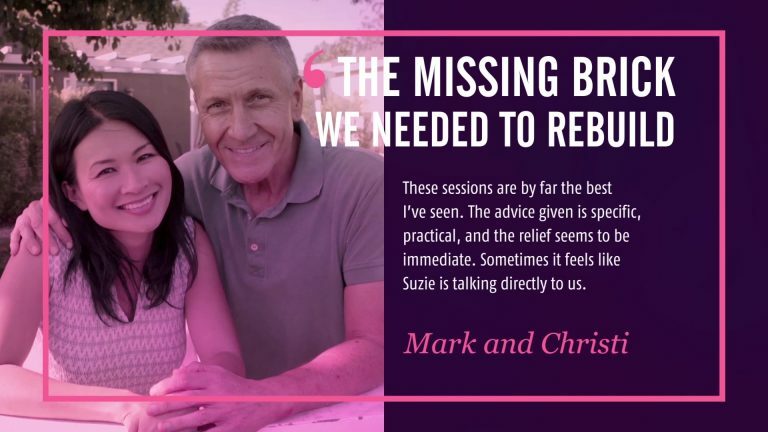 Why do I give free access to marriage rehab? Key reason: It puts all the risk on my shoulders, while I give you a chance to evaluate (for yourself) if my teaching style and my approach is a match for you. That makes it a win-win for both of us: You get a low-risk way to evaluate me, and I get a chance to impress you. What is true love about? My answer? True Love is not about the absence of pain, problems and adversity. Instead, it’s a about the presence of courage, perseverance and the willingness to believe the best is yet to come. Then may I suggest that you leave the “wishing” to the kids and the “hoping” to the saints? Instead, take the future in your hands and stack the odds of success in your favor by using your FREE ACCESS to at least try my Marriage Rehab couples course. 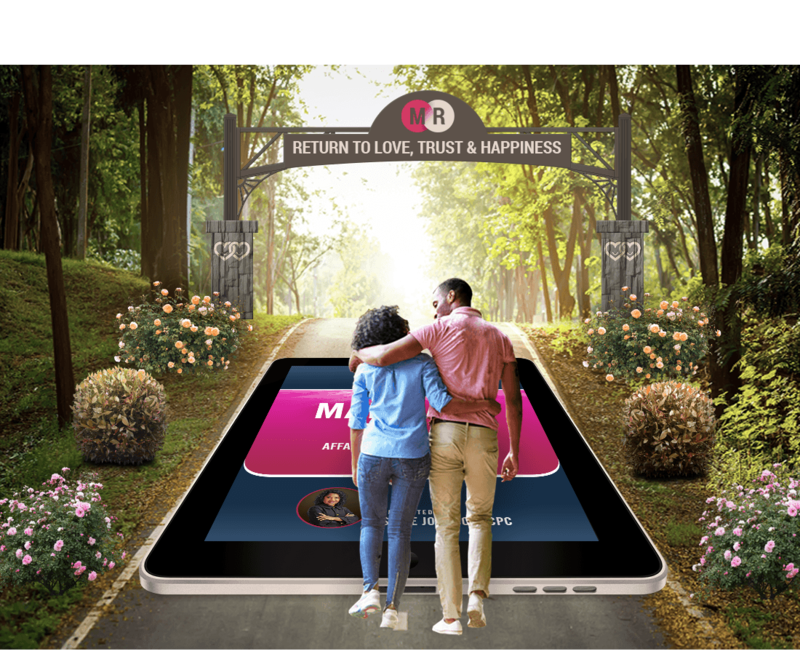 Not only will it give you a chance to find out for yourself what a difference it can make when you have a guide by your side and a comprehensive plan designed to help you find your way back to love, trust and happiness after infidelity. It will also show you why the best is yet to come. I believe you’ll be glad you did. Until we speak again… Remember, Love wins! My answer? True Love is not about the absence of pain, problems and adversity. Instead, it’s about the presence of courage, perseverance and willingness to believe the best is yet to come. Then may I suggest you leave the wishing to the kids and the hoping to the saints? Instead, take the future in your hands and stack the odds of success in your favor by auditing my Marriage Rehab couples course. Not only will it give you a chance to find out for yourself what a difference it can make when you have a guide by your side and a comprehensive plan designed to help you find your way back to love, trust and happiness after infidelity. It will also show you why the best is yet to come.